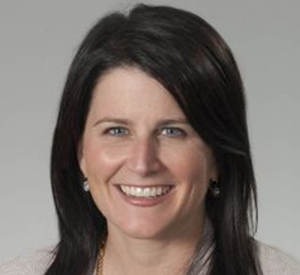 Aimee Quirk is the CEO of innovationOchsner (iO). iO is an innovation accelerator launched by Ochsner to drive patient-focused health innovations as well as support companies that are working to revolutionize patient-centered care. iO’s focus is to develop new and creative ways to use data and technology to empower patients, including their social network, to take an active role in their care, and for healthcare providers to better and more efficiently manage patient conditions. Aimee joins Ochsner with more than 15 years of experience in economic development, law and public affairs. Most recently, she served for over four years as the Senior Advisor for Economic Development in the Office of New Orleans Mayor Mitch Landrieu. As Senior Advisor, Aimee led the Mayor’s economic development team and the creation and implementation of the City’s business development strategy. Prior to her public service, Aimee was a partner at Jones Walker, where she practiced corporate and business litigation. Aimee received her J.D. from Tulane University School of Law and her B.S. in Finance from Louisiana State University. She currently serves as Vice-Chair of the New Orleans Business Alliance, a partnership between business and government to promote economic development in the city, and on the Tulane Law Review Board of Advisory Editors.